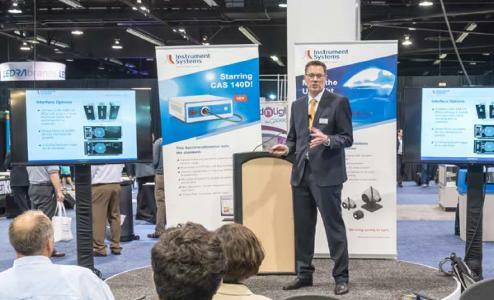 At Strategies in Light USA at the end of February 2017 Instrument Systems offered the public a preview of its latest product innovation, the CAS 140D spectroradiometer. In combination with the likewise newly developed integrating spheres for the characterization of UV LEDs the system leapfrogged straight into the top 5 stories of the leading international trade fair for lighting technology. In addition to the completely revised design, the fourth generation of the highly successful CAS series with many technical innovations scores multiple points. The CAS 140D combines all the advantages of the proven CAS 140CT in terms of measurement accuracy and reliability with sustainable technical optimizations to enhance repeatability and stability in every environment. 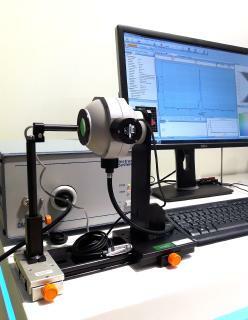 Due to its improved optical and mechanical construction the instrument is smaller, more functional and simpler to integrate into existing measurement environments. Automatic accessory recognition enables fast and simple changing of a wide range of measurement adapters. In laboratory and production environments the new plug & play principle ensures a high degree of process reliability. The system automatically recognizes the connected accessories and ensures that only current and valid calibrations are used. Another new feature of the CAS 140D is the changeable interface between the spectrometer and control computer. Depending on the measurement task at hand, it can be exchanged simply via plug-in module with an USB, PCIe or Ethernet interface. 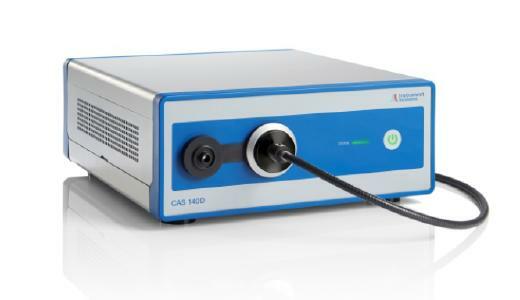 The CAS 140D is suitable both as a reference instrument in national calibration labs and for continuous operation in production. A wide selection of accessories supplements the array spectrometer to form complete system for all spectroradiometric and photometric measurement tasks. The CAS 140D will again be available for live demonstrations to interested persons at the LED Taiwan (Taipei, Taiwan) to be held from 12–15 April 2017. Further information can be found on the Instrument Systems website. Instrument Systems was founded in 1986 and is based in Munich, Germany. The company develops, manufactures and markets turnkey solutions for light measurement. 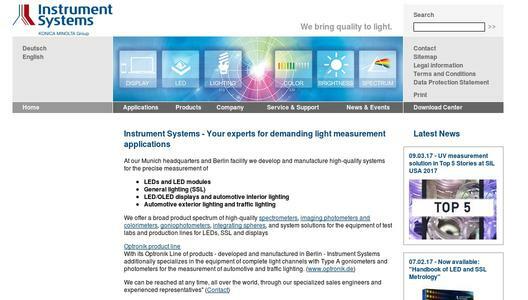 Instrument Systems delivers a comprehensive range of light measuring products for industrial and research applications. These include high-performance array and scanning spectrometers, as well as imaging photometers and colorimeters. 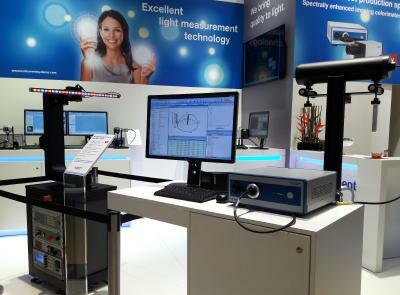 Key applications are LED/SSL and display measurement, as well as spectroradiometry and photometry. Today Instrument Systems is one of the world's leading manufacturers in this area. 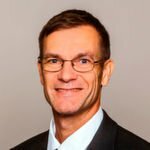 The associated Optronics Division, located in Berlin, develops and markets photometric test equipment specifically for the automotive industry and transport sector. About 85% of sales are generated by the export business. 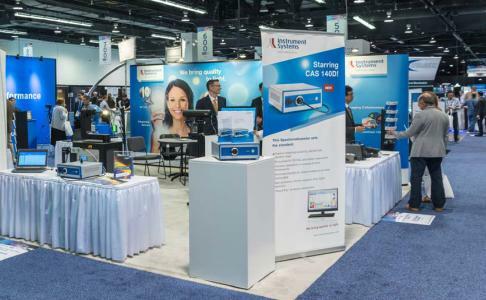 Since 2012 Instrument Systems has been a wholly-owned subsidiary of the Konica Minolta Group.